Mets on Pace for 162-0 Season! In addition, the Nats had a nice tribute and a moment of silence for Frank Robinson (the team’s first manager in DC). But contrary to what some folks expected, they did not add a one-day memorial patch for him. Similarly, Yount’s was properly NNOB, while Fingers’s jersey had an NOB. I’ve never understood that look. If you’re going to go to the trouble of wearing stirrups, why not show them off a bit more by going higher-cuffed? Look at that font on the Magowan patch — so nice! 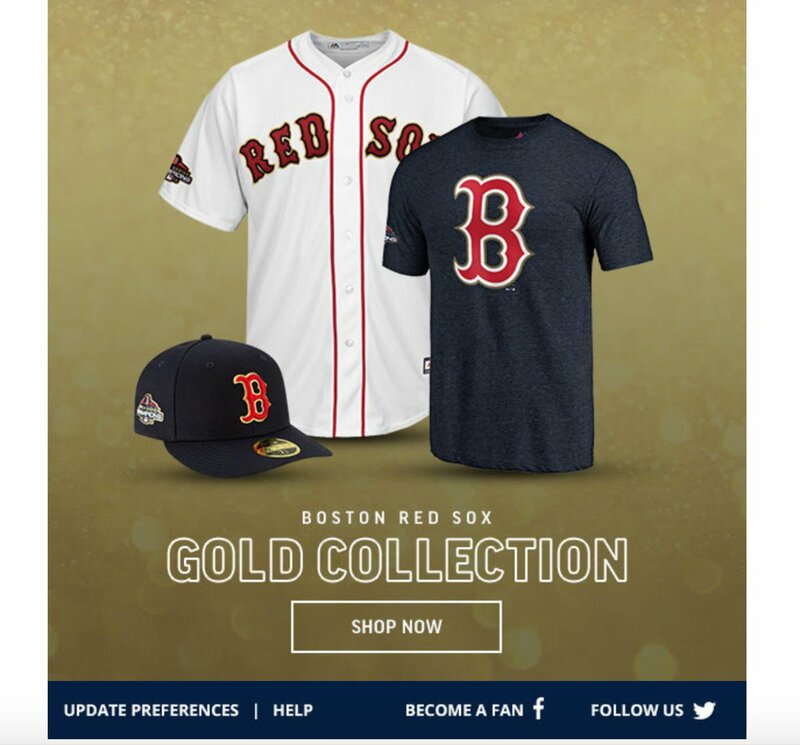 As expected, the Red Sox went ahead and announced that they’ll have gold-trimmed jerseys and caps for their home opener on April 9 (but not yesterday, because they opened the season in Seattle). That got me thinking: Since World Series champs started wearing gold for their home openers, how many defending champs have opened on the road? I haven’t had time to look that up — anyone..? To my knowledge, nothing uni-notable happened in these three games. Did I miss anything? A new form of cow-tipping: The Texas Relays are a college track and field tournament that’s been held each year since 1925. The University of Texas is the host, so the Longhorns logo appears on each participant’s number bib. I can’t decide what I think of this — fun college-rivalry stunt, or a petty example of poor sportsmanship? What do you think? ITEM! 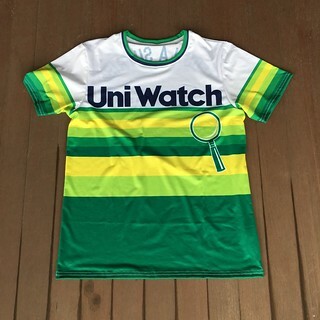 New one-day raffle: Reader Max Weintraub has very generously offered to purchase one of our new tequila sunrise shirts for a lucky Uni Watch reader. This will be a one-day raffle — to enter, send an email including your shipping address and preferred size (here’s the sizing chart) to the raffle address by 11pm Eastern tonight. I’ll announce the winner on Monday. Big thanks to Max for doing this! Speaking of raffles, the winner of the Vintage Brand raffle is Andy Hynds. We will have yet another raffle next week — stay tuned. Baseball News: As you may know, the Yankees and Red Sox will play each other in London with both wearing their home whites. Reader Doug Brei speculates that this might actually make sense to English spectators because they’re already used to white-vs.-white matchups in cricket. … In honor of Opening Day, the football helmet manufacturer Riddell created helmet concepts for every MLB team in the AL East, AL Central, AL West, NL East, NL Central, and NL West (from Ben Hatfield). … Apparently four Los Angeles-area high school baseball teams will join the Dodgers in wearing the Don Newcombe memorial patch this season. … White Sox OF Eloy Jiménez is the first player in franchise history to wear No. 74 (from @chicagoooooo92). … Reader Sean Lindsey has an incredibly impressive collection of Diamondbacks jerseys and caps to choose from. … 60 Minutes recently posted a vintage clip of Andy Rooney visiting a Louisville Slugger factory (from Mike Chamernik). … As a part of its Copa de la Diversion celebration, the Lakewood BlueClaws are making this bobblehead available to fans (from John Cerone). 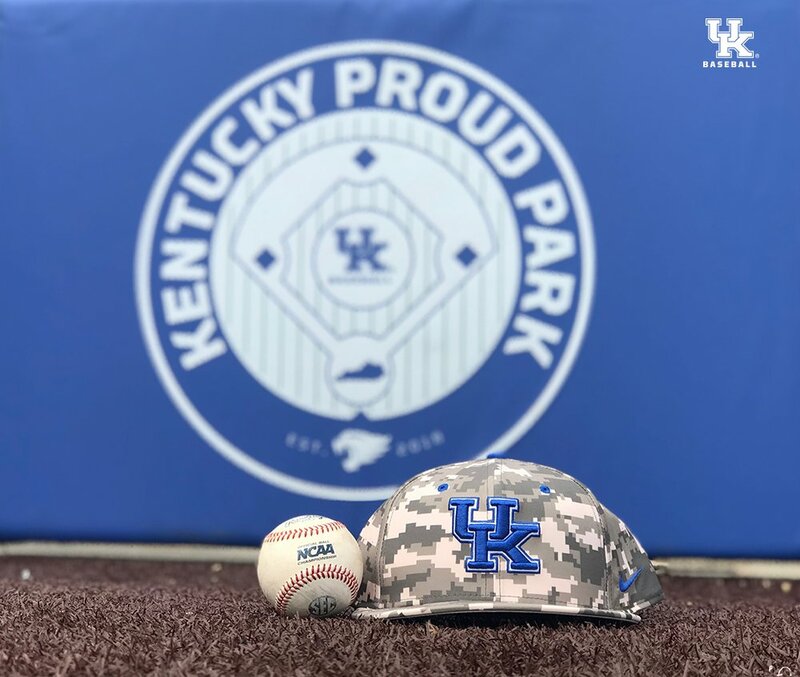 … Kentucky wore camouflage caps yesterday (from Griffin Smith). 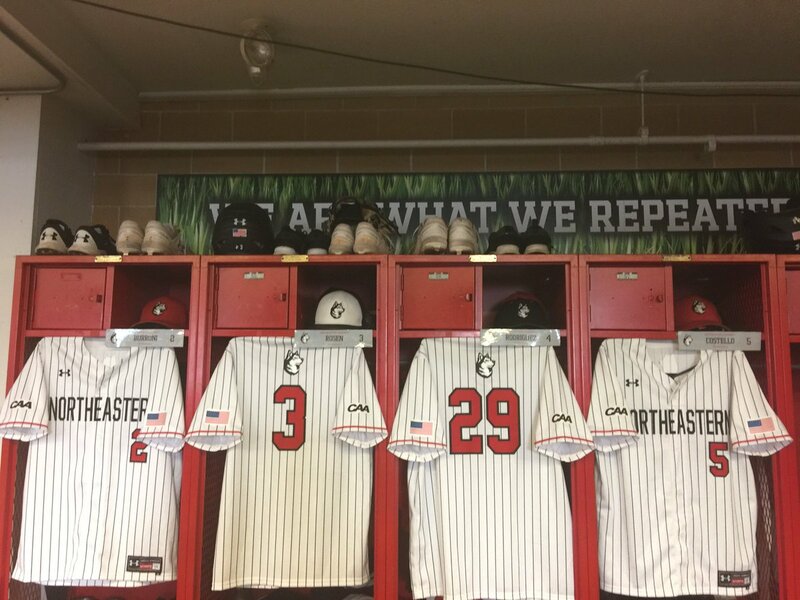 … New pinstriped uniforms for Northeastern (from Eric Anastasi). … Here’s color vs. color being taken to a new level. That’s Iowa vs. Indiana yesterday, with the Hawkeyes channeling their inner bumblebee-era Pirates (from Kary Klismet). Football News: The Titans will not give the Texans permission to wear Oilers throwbacks, despite some Houston players lobbying for it (from multiple readers). … 49ers WR Trent Taylor will be switching from No. 81 to No. 15 but wants to help fans who have a jersey with his old number receive the new version (from our own Brinke Guthrie). … Oregon State will unveil new uniforms during its spring game next month. NBA News: A Croatian artist has made Rockets G James Harden his muse, creating 26 different portraits of Harden (NYT link), and they’re all very well done. 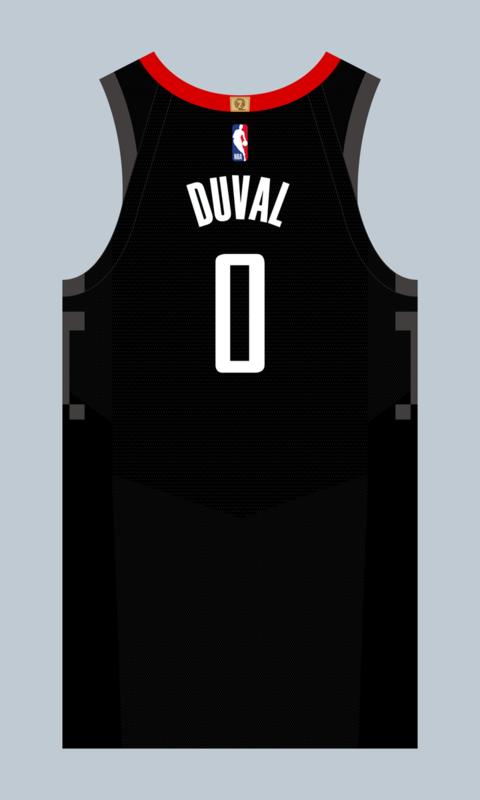 … Speaking of the Rockets, newly signed PG Trevon Duval will wear No. 0 (from Etienne Catalan). … The numeral “2” in the Spurs’ retired number banners doesn’t match the “2” on their jerseys (from @70srejoin). College Hoops News: Michigan and Texas Tech went ketchup vs. mustard in the Sweet 16 last night. … Former Purdue coach Gene Keady was spotted wearing a Jerry Tarkanian pin on his cap last night (from Trent Dolby). 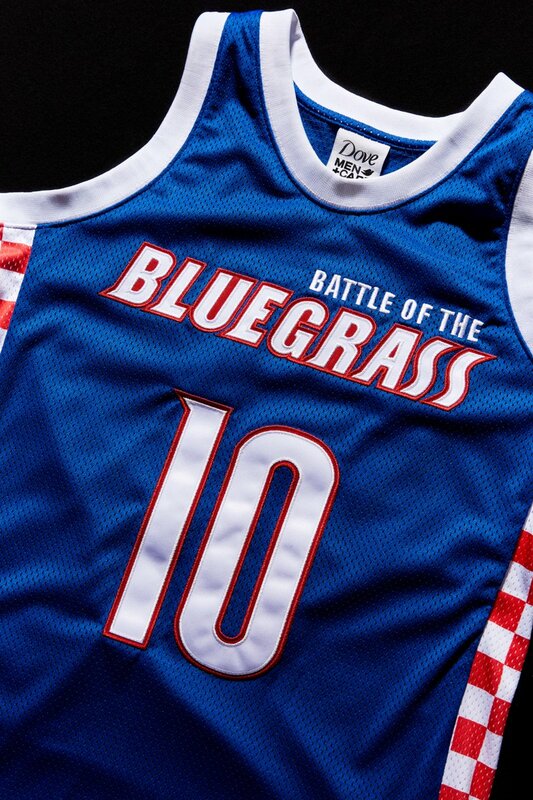 … With Kentucky and Louisville facing each other, a soap manufacturer has created a jersey to unite the state of Kentucky (from Josh Hinton). Soccer News: In a tribute to its 1919 squad, Brazil will wear white at this year’s Copa America (from Kevin O’Reilly). … FC Cincinnati has chosen the architect to build its new stadium, the same firm that designed Major League Soccer’s last two stadiums. 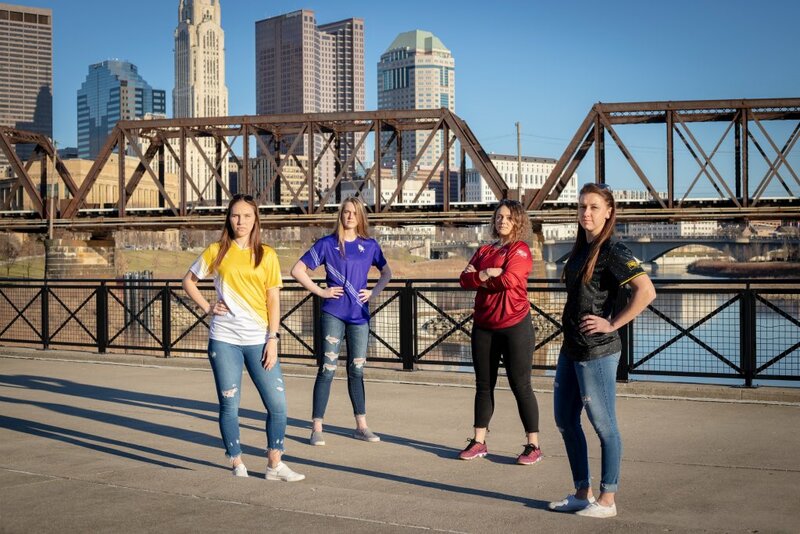 … Columbus Eagles FC has unveiled its home, away, and keeper shirts. … Here’s a look at Austin Bold FC’s newly completed stadium (from Josh Hinton). … Belarusian club FC Isloch Minsk Raion has a new shirt (from Ed Zelaski). Grab Bag: The California Horse Racing Board has begun the steps toward abolishing the use of whips during races except in rare cases where the safety of jockeys or horses is at stake. 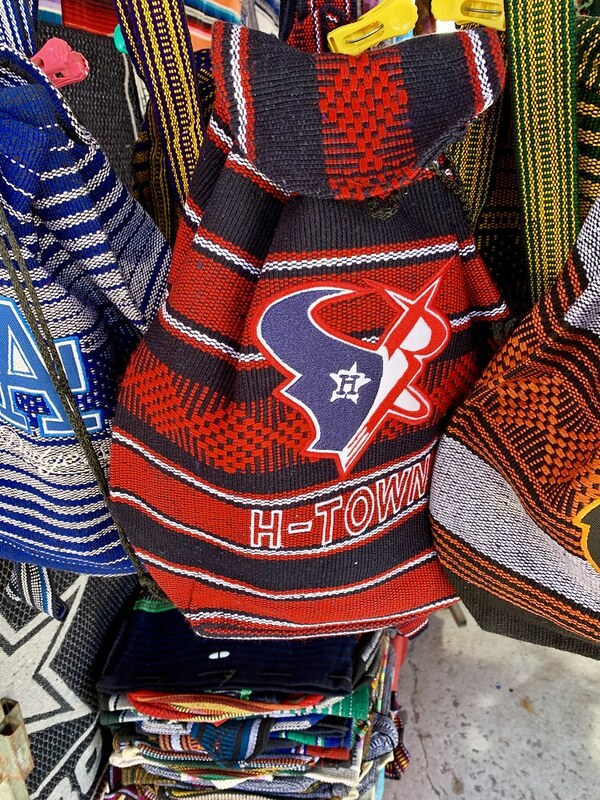 … Reader Andrew Cosentino found a backpack in Mexico with a mashup of three Houston professional team logos. … Really good video about Muslims who serve in the U.S. armed forces while wearing a hijab (from Jason Hillyer). … The University of Central Arkansas Feminist Union is hosting an exhibit featuring items of clothing that females were wearing when they were sexually assaulted. … Amazingly, a Flickr user has photographed himself while standing in front of the university name sign at more than 500 universities (from Gerry Dincher). … We’ve written that Cuyahoga Community College (Tri-C) adopted a triceratops as its new logo and asked the community to vote on its mascot’s new name. The winner was “Stomp.” … Glendale, Ariz., has a new logo and its city council isn’t very happy about the design. … Massachusetts-based companies Dunkin’ and Saucony teamed up to make Dunkin’-themed shoes ahead of the Boston Marathon (from Jacob Weintraub). … Here are the “surprising” stories behind some of the most famous logos in fashion (WSJ link). … This article discusses the trend of rainbow-palette fashion as a means of adding joy in “a joyless time.” … The expansion of Chicago O’Hare International Airport will feature a nature motif with a wood beam ceiling resembling trees, real trees along the halls, and patches of grass on the floor. … USA Field Hockey has new umpire jerseys (from our own Jamie Rathjen). 68 comments to Mets on Pace for 162-0 Season! That soap company needs to stop. They did the same thing before the last UNC/Duke game. Why would either fan base wear a jersey with their rivals included? What Louisville fan would wear a royal blue jersey with checkerboard details? It’s like those ridiculous European scarves with both sides represented. Rivalries are enjoyable, so long as they are kept in the proper perspective. Stop trying to play peacemaker where none need be. Confused as to why the March Madness twitter tweeted that, because Louisville and Kentucky definitely aren’t playing each other. The scarf can be seen as a souvenir of the match. Rather like the gameday t-shirts you’ll see with both teams’ logos. A Frankenjersey is a bit much. Too big an item of clothing and too expensive. I did notice in the Tigers/Jays game that while the promised reduction in the size of the cap logo was indeed there on the Tigers’ caps, they didn’t reduce the size on the batting helmets. The Toronto Blue Jays wore their alternate white front panel caps for the home opener, which seems to be becoming a tradition. They did the same thing last year. Notable, the Jays do have white front panel helmets, but they wore their solid blue batting helmets for this game. Mismatch with the hats and helmets. I’m sure my fellow Canadians disagree, but I wish our sports teams would stop incorporating maple leaves into their logos and uniform designs (unless your name is Maple Leafs). Stop it with the giant flags too. In a slightly related topic with an even slighter possibility of actually happening, I’d eliminate national anthems before sporting events. What about the Winnipeg Jets? Their whole motif is a tribute to the RCAF. Why do the Giants’ road uniforms have a gold drop shadow? Did I miss something? For the same reason the home cream set does. Typical douchebaggery between the Texas schools. 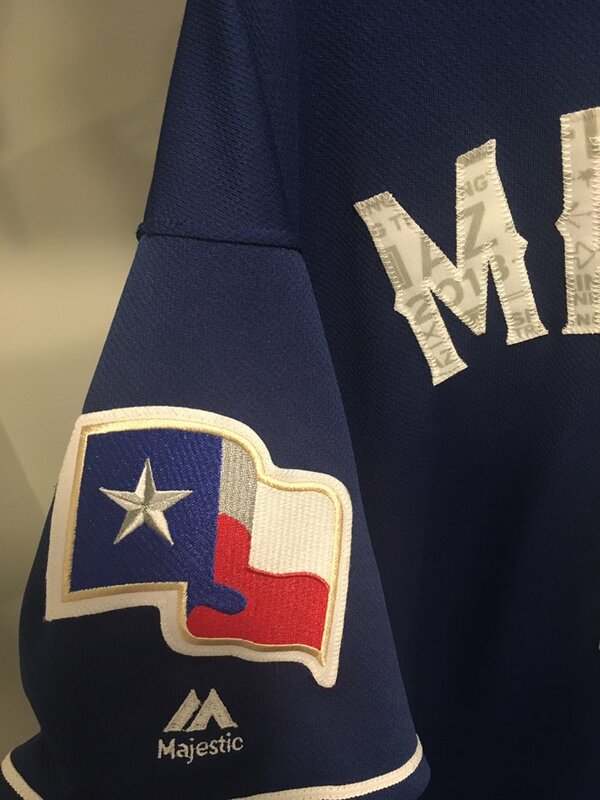 Texas shouldn’t put its logo on every team’s bibs. Texas A&M shouldn’t be so childish to put the horns down. Both of these schools are obnoxious and nauseating when it comes to athletics. They deserve each other. This seems like it’s probably the right answer. Well-stated, Bob. I’ll take the opposing view and say that it seems like a harmless bit of fun between rivals. Especially when you compare it to something like an Alabama fan poisoning a bunch of trees on the Auburn campus. I agree. It’s all in good fun. i amazed that texas has not disqualified any of the texas A&m runners for doing that. I have seen runner disqualified for much less. The Titans will not give the Texans permission to wear Oilers throwbacks, despite some Houston players lobbying for it (from multiple readers). Hey JJ, have someone make you an Oilers throwback uni (for free, of course). I’d love to see you in it! I applaud the Titans for keeping the rights to their former identity in-house; either team pulling off a proper throwback to the Oilers is impossible with the one-shell rule anyway. That logo, colors and history belong to Houston. The city. Earl Campell never ran for one inch in Tennessee. The Titans fans don’t care for Oiler legends. I am on pins and needles Paul, what did you do??? A key piece of video hasn’t been processed yet. (Being handled by someone else, not by me.) Hope to be able to tell you about it on Monday! I can’t tell if the Target bulls-eye is centered in the 0 on the Twins 10 Yr logo and it is kind of irking me. Also, I think it is a fun rivalry thing with the Texas A&M/Texas Tech thing. Unless the NFL changes it’s one shell rule, or they start using those interchangeable shell covers Paul wrote about, the Texans can’t cosplay as the Oilers anyway. Right? During the Royals telecast, play-by-play guy Ryan Lefebvre noted Adalberto Mondesi is on pace to hit 324 triples after getting two on Opening Day. It’s not Target Field’s 10th anniversary but 10th season, as it opened in 2020. Both new Yankee Stadium and Citi Field have 10th anniversaries in 2019, but it looks like no commerative logos. 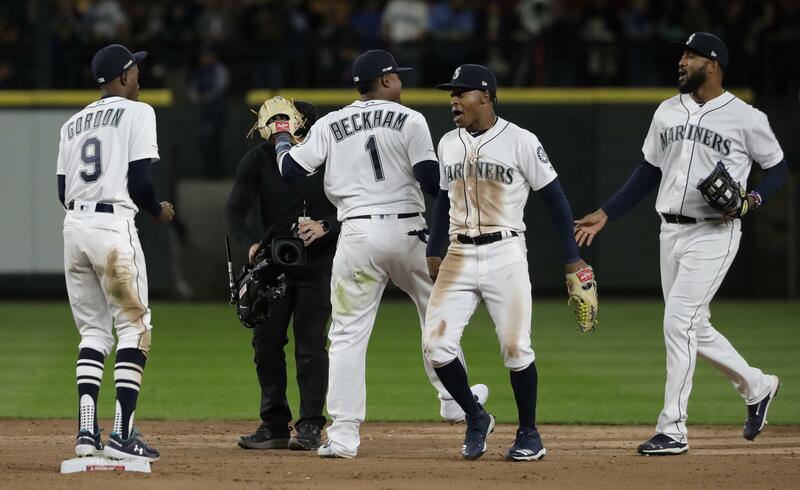 Dee Gordon from the Mariners rocking some sweet, classic, stirrups! Yeah, but using TruSox as sannies kinda ruins it. Braves have raised logos again this year. That’s great! I really like the raised logos better and never understood why the went back to standard decals. I was at an exhibition game in Atlanta earlier this week and noticed raised logos on the helmets (lower-case ‘a’ for Spring Training) and was hoping this meant the raised logo was coming back for the regular season. Re: Black armband Yankees Stottlemyre. Seems every year will sadly have a notable death in the Yankee orbit. May as well make that a permanent part of the uni. True story, when I was a kid first getting into baseball, I thought the memorial stripe was a real, standard part of the jersey (I had a cotton jersey and I literally drew it on with a black magic marker…don’t know if George Costanza got his commission on that piece of merch), AND I thought the Yankees wore black until I bought a “real enough looking” hat from a New York Street vendor and realized it was navy. Sure, I had magazines and posters of the Yankees, but the black armband made the navy look dark enough to match! While this obviously isn’t about aesthetics, I also grew up seeing the Yankees with those black stripes and actually think the uniforms look weird without one. Hi guys, I believe the cleats worn by Harper were reflective of the Flyers mascot, not the fanatic. Still really ugly (and not permissible color-wise, even under MLB’s new, less-restrictive footwear rules). Yea they’re definitely the Phanatic, not Gritty. Gritty is orange. The Phanatic is green. And those things, if sold in the greater Philadelphia area, will sell ridiculously well. The Phanatic is revered here. I would be rocking them if I were a kid playing ball here. 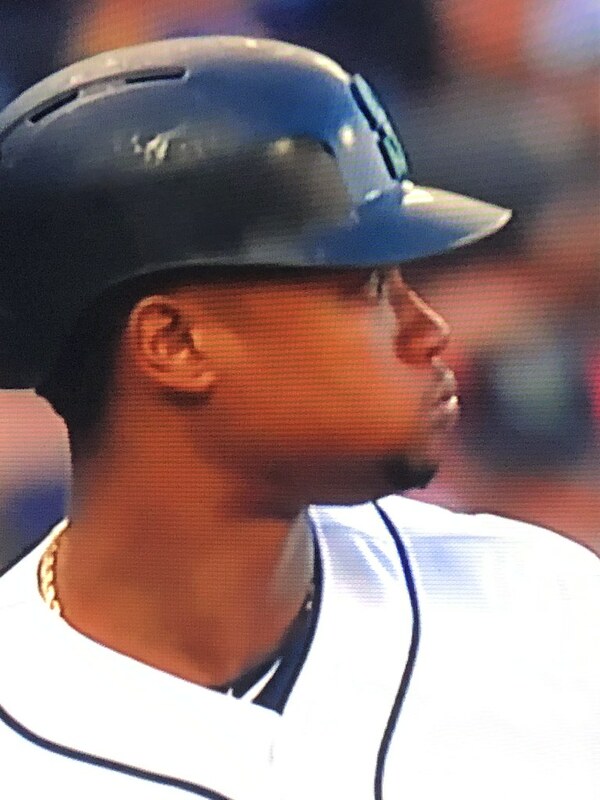 Anybody know the story on the new batting helmets? Never saw them in ST, and they seem optional, many players still wearing the Rawlings S100 pro comp. The new Cleveland Indians road jersey: Is it the lighting, or is that a darker navy than their typical? The Oilers/Texans debate brings up an interesting subject. In the NHL, the new Winnipeg team was permitted to be called the Jets so I’m thinking that Arizona Coyotes would have agreed to giving up the Jets name (unless the NHL already owned it?). Will be interesting to WHEN Montreal gets their team back that they can be called the Expos, given that the old Expos’ records are held by the Natinals(sp). Hopefully when MLB gets around to it, the Expos can come back like the new Browns where they could keep their record even though the Expos move was not under the same circumstances as the Brownies. MLB owns the Expos name, as they bought the team from Jeffrey Loria and moved it to DC before selling it to a new owner. If I’m remembering correctly the NHL did own the Coyotes at that point in time – the franchise was “returned” to the league instead of going bankrupt. It’s worth remembering/easy to forget that the “new” Winnipeg team is the old Atlanta Thrashers. They can’t and don’t lay claim any of the original Jets records (those belong to Arizona), though I think they have chosen to keep a few numbers retired, for ‘old-tyme’ sake. 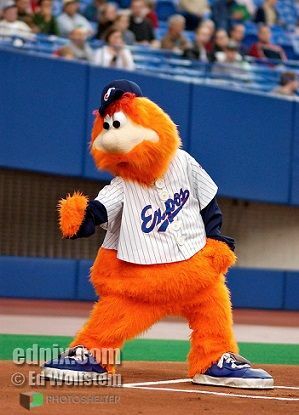 IF Montreal gets another shot at MLB, I’d hope that the team is called something other than Expos. If they are so called, the Nationals should still retain the original Montreal franchise records and reserve the right to throwback to the Expos era, as unlikely as that may ever be. Relocation of an existing MLB team is more likely than expansion(? ); if an existing franchise relocates, shouldn’t their team history/identity move with them regardless of the circumstances? Some fans in Washington still have some affection for the Senators; very few have any feelings for the Expos. The Canadiens have a banner with the retired Expo numbers, not the Capitals or even the Nats. Expo memories will always reside in Montreal, so that’s where the legacy belongs. 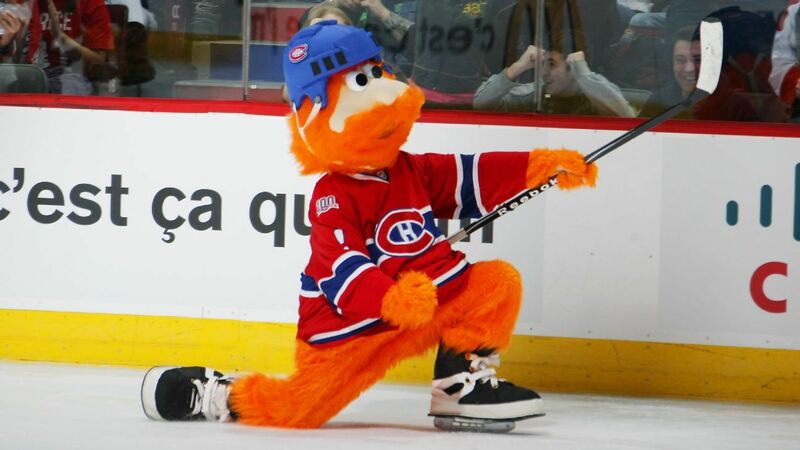 Yup – even the Expos mascot stayed in Montreal and found a job with the Canadiens. That’s impressive. Honoring the teams that left AND the teams that moved there. Typo: Dodgers is spelled incorrectly in the rundown of Opening Day. I’m not sure about other years, but the 05 Red Sox (first team to wear gold-trimmed uniforms opening day to celebrate a title if i’m Not mistaken) opened that year at Yankee Stadium on Sunday Night Baseball. *Should read that the 05 Red Sox were the first team to wear gold trim for their home opener, which was also against the Yankees a week or so after they opened at Yankee Stadium. With Ottavino wearing 0, and Judge wearing 99, does that become the largest number spread in MLB history? Not “become.” That will tie a record held by (at least) #0 Kerry Robinson and #99 So Taguchi, diametrically numerologically opposed teammates for the St. Louis Cardinals. In the Blue Jays home opener their new coach was wearing a blue wedding band. Not sure he always had this color or because he became a Blue Jay. I absolutely love the Texas A&M Track team wearing their bibs upside down! That’s what college sports are all about! Having fun, and poking fun at your rivals. Flipping the bibs doesn’t hurt anyone, it’s not offensive to any parties, and what a perfect response to the “Horns Up” call from the Longhorns. NCAA athletics are SUPPOSED to be fun (not sure how fun they really are for most athletes, but I digress). This is a great way to show school pride without hurting anyone. This seems like it’s probably the right answer. Well-stated, Skott. Michigan’s ridiculously small back numbers and the pink shoes (I know they’re for a reason, but still…) kept this from being a great matchup. Still pretty good though. You said nothing unusual in the Hou/TB game, which is true, but with the Astros in general, I’ve wondered why they’ve switched almost exclusively to the solid navy caps with the road grays. The gray used to be paired with the orange-billed caps. In previous years, they’d do the solid navy a couple times a year, but last year about mid-season is when I noticed the near-permanent switch. I am just glad the Astros have worn gray in their first two games instead of the orange softball jerseys. Brewers are wearing their “ball in glove” alternates tonight vs. Cardinals. The batting helmets appear to have last year’s hat logo. In other words, the negative space between the “b” and “m” is still blue on the helmets. It’s anachronistic, of course … but if I were Fingers, I’d relish the chance to appear in a proper jersey, rather than the garbage pullover foisted upon me during my playing days.